Walt Disney World -- Laughing at yourself! 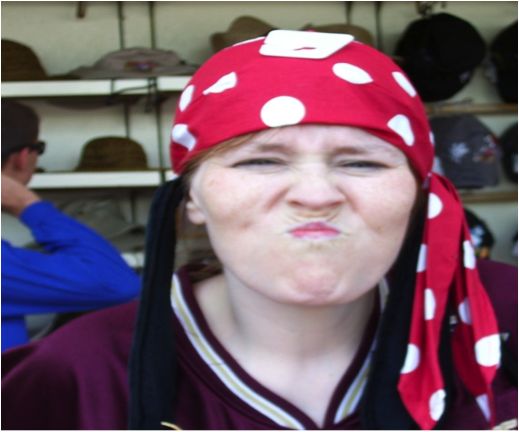 Ah, the joy (and as my boyfriend has called it “childlike wonder”) of Disney always brings out my silly side. 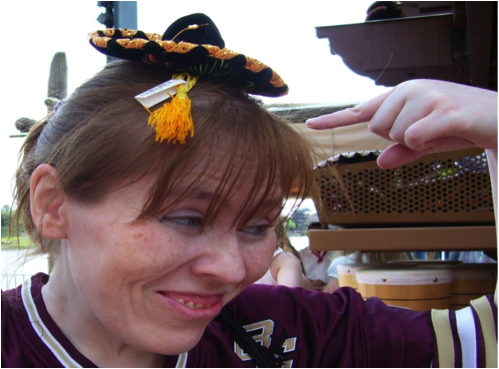 When I am at Disney, I work hard to let go of my adult restrain and just have fun; “be” in the moment. How many times have you bought a hat or a pair of mouse ears at Disney and then find that once you get home, you don’t even look at it? I find that a serious waste of money. My favorite way around this is what I have coined “the silly hat game”. Myself and whatever poor, unsuspecting soul I manage to rope in take pictures of ourselves wearing these hats and then put them back. You would think that the staff in the various retail outlets would object to this kind of thing, but remarkably not one person has said a thing about my “game”. I try to play up the picture with facial expressions that complement the hat. Of course, that’s not the only way to have fun (but is one of my favorite Disney activities.) Let your silly flag fly and see what else you find. You will be amazed at what kind of fun you can find as some of these pictures illustrate. 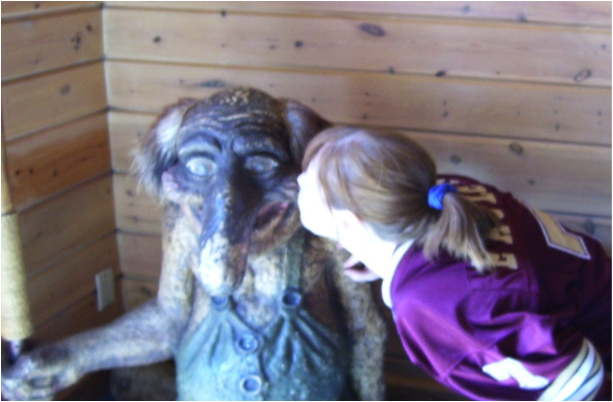 I found this troll statue in the Norway pavilion at Epcot and he made me smile so I needed a kiss. I hope I have inspired you to let your silly side out, I promise you won’t regret it! 36 Days til Disneyland – “it’s a small world”! I’m so glad to see someone else that plays the hat game! We love to do that. 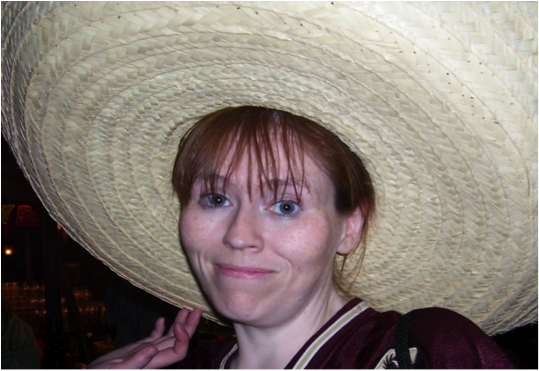 Trying on the sombreros on Mexico is always one of our favorite pictures every year! Previous Post: Friendship Friday: Happy Birthday Jim!